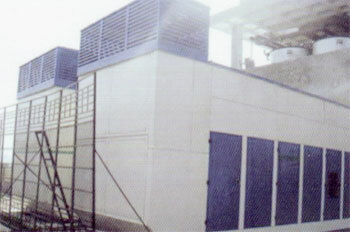 We are one of the leading Manufacturer of sound proof acoustic enclosure for DG Set. 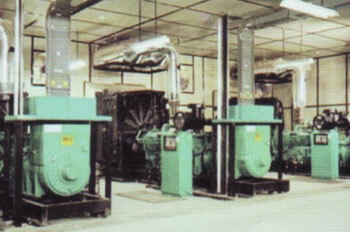 Heavy machines like chillers, blowers, air compressors etc. Specially designed to meet stringent MOEF / CPCB norms of, 75 dBA @ 1mtr at 75% load under free field conditions upto 1000 kvA. 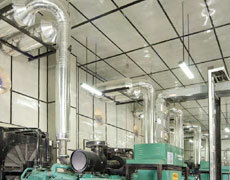 Air inlet louvers specially designed to operate at rated load even at 50 deg. C enclosure temp. Made on special purpose CNC machines for consistency in quality and workmanship. With UV resistant power coating, can withstand extreme environments. Use of stainless steel hardware. 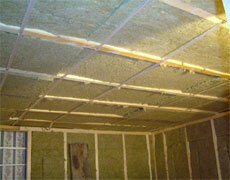 Insulation material meet exacting IS 8183 space for better sound attenuation. 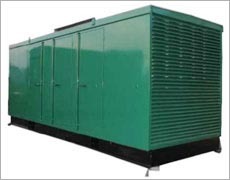 For gensets of 1010 KVA & above special A/E can also be provided for Outdoor installation with insertion less of 25dba. 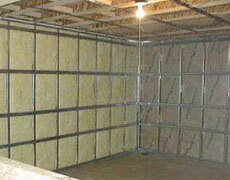 For indoor installation acoustic treatments for walls, roofs with modular build panels can be provided along with second alternative for intake & exhaust air requirement in soundproof doors.